Discussion in 'Maintenance' started by hikerrobot, Aug 22, 2016. Wondered if anyone else, particularly with same bike , finds it hard to get the chain tension correct on a CBF 250? When I bought the bike it was so slack it was a joke. I have since tightened it to the correct tension, but the chain slaps when at low revs. I take this to be an indication that the tension is not great enough. Any comments, thoughts gratefully received. 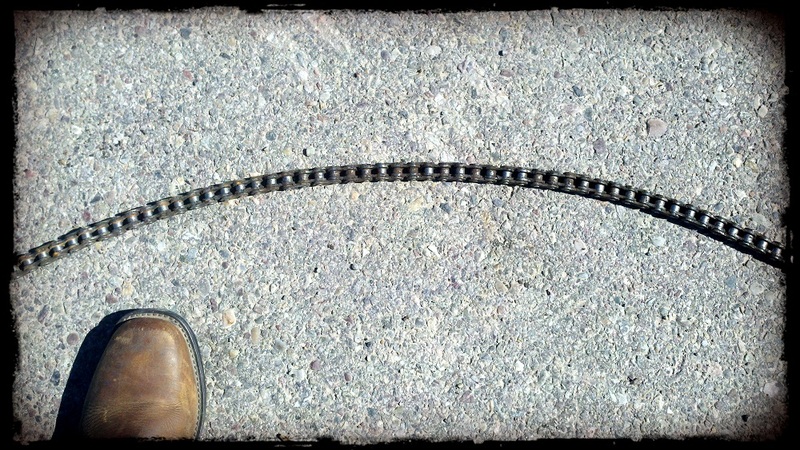 Chain is worn out and you need a new one. Best to change the sprockets too. When you adjust the chain, have someone sit on the bike while you do it. With most swingarm's they act like a lever, pivoting off the front mounting bolt. As the rear suspension compress's the rear axle move's further away from the front sprocket. So the chain need's to be adjusted so at it's longest point there is still a bit of movement up and down. If you don't have any movement when the centre's are all lined up then the chain will stretch, and can also cause problem's like prematurely wearing the output shaft bearing behind the front sprocket, it can chew out rubber's/buffer's inside your rear sprocket hub if it has cush drive, and wear out the chain slider on the front of the swingarm too. Also if you hold one of the link's at the back of your rear sprocket and pull it away from the sprocket it should hardly move, if it does move a bit then i'd say your chain is stretched. 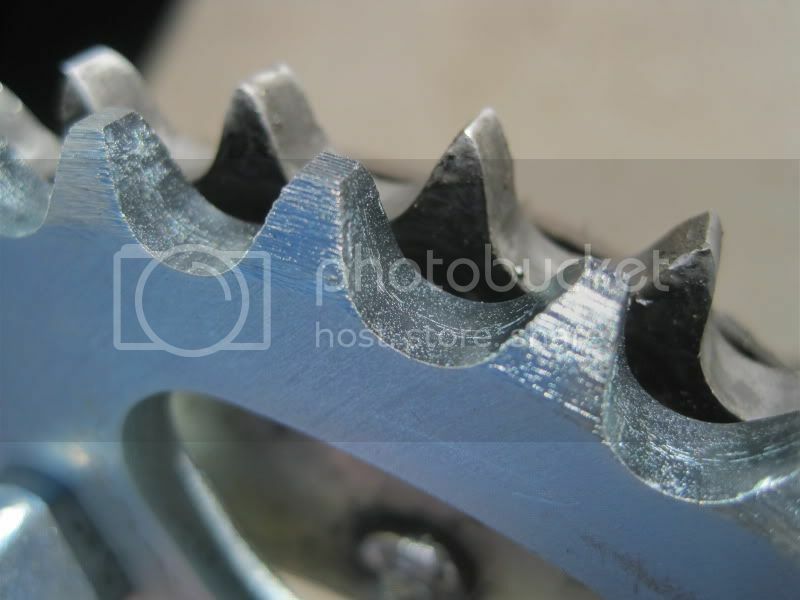 If the teeth on your sprocket's are worn i would replace them. Thanks for your reply. I should perhaps have added more info. The bikes has only done around 1500 on current chain. The chain is nowhere near the wear markers and the teeth are nice and wide, not like the sharp teeth on the image above. So change of chain and sprockets is not necessary. Thanks for your excellent reply, very informative. Found it useful about the longest point of travel.